Divided into different teams, the “competitors” can wander freely in twos or small groups from table to table to challenge players from other teams in matches of a variety of board games. The pace of these fun “sparring” matches picks up so that players get to enjoy as many different games as possible: those requiring concentration, strategy, skill, a sense of balance, powers of observation, speed… with simple and sometimes exciting rules. 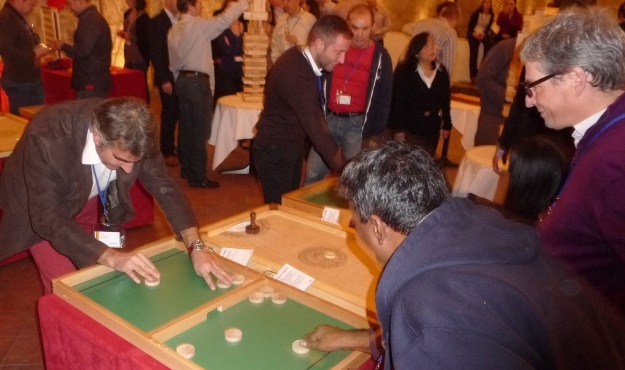 Lively and convivial, this activity is conducive to teambuilding and the exchange of ideas.